Star Wars Galaxy of Heroes continues to add more to the game as the last week’s clue from CG Crumb indicated to players that C-3PO was set to join the game. Gaming-fans.com can now confirm that the Ewok faction is the necessary one to unlock C-3PO using any combination of 5 furry little “murder bears.” The event details are not yet available, but the event is anticipated to take place before the end of December. We at Gaming-fans.com are hopeful that the December SWGoH Calendar will soon be added to the site indicating this event and how it fits into the month’s plans for Capital Games. Thinking about the upcoming event, we should always look to history to help us predict the future. I believe this can be true in most areas of life, but in SWGoH it seems to ring true. With events like the Jedi Knight Revan Event or Rey’s Hero’s Journey, we have seen lower gear levels necessary to unlock the characters given the timing of when the required characters were released. However with the Chewbacca Event, which was very difficult, Gear 12 Bounty Hunters with 5-dot and 6-dot mods were necessary. Given that Ewoks have been available since the beginning of SWGoH and event the newer Ewoks, Wicket, Logray and Paploo have been in-game for 18 or so months, I would expect this event to be very difficult, likely requiring the same levels as the Chewie event. 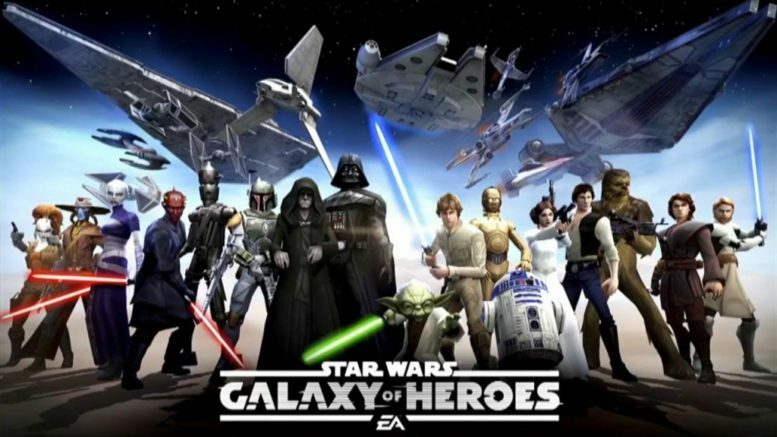 However the event is set up, C-3PO is likely to be a highly impactful character in Galaxy of Heroes, especially for end-game players looking for every advantage in the Squad Arena, the upcoming Grand Arena and in Territory Wars. Personally, I am expecting some kind of R2-D2 synergy with a kit that enhances others, Droids and Rebels in particular, but likely a multi-faction tag like his counterpart, Artoo. Be the first to comment on "SWGoH: C-3PO Event Confirmed with Ewoks Needed to Unlock"